Let's go make some fantastic, Basic Salad Dressing! Blend all ingredients with a fork or whisk until completely smooth. Optionally, blend your favourite herb or which ever fits your meal. Lettuce, not properly dried, causes the salad dressing to become runny once poured over the lettuce. Dry your lettuce leaves properly. Make yor dressing a day in advance. Let your dressing ripen a bit ... give the flavours a chance to blend. Do not over-dress. 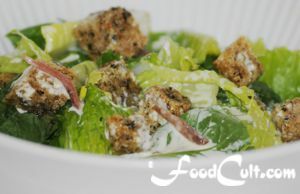 Too much dressing takes away from the flavours of the lettuce and other ingredients. Salad dressings are said to be best after they have stood (in the fridge) over night. The creaminess comes from mayonnaise. That is how you control the creaminess - with incremental, small additions of mayonnaise. We used to prepare our dressings the same day but now we like to make up a batch and store it in the refrigerator so we can throw together a salad on the fly ... an instant meal - just prepare the salad, pull the jar from the fridge, dress it, and Voila - home made salad already ready! There is always some dressing ready for a quick salad snack. We would suggest you try a single serving (enough for one meal) first and find out what you really like in your salad. Learn to make it the way you like it best. What ever you do, do not put the dressing on the salad too far in advance of serving. While we like, for ourselves, to dress our salad before it comes to the table, many (you may find) prefer to dress it themselves directly on their plate. We always ask our guests if we may dress it in advance. If one does not like that, we will separate some out for them and dress the rest (because we REALLY like it dressed before it comes to the table). For those that really prefer to dress their own salad, serve the dressing on the side. We typically toss the dressing into the salad just before presenting it. We generally make it vegetarian. If you are vegan you may try one of many mayonnaise substitutes.